Mercruiser Gasoline There are 8 products. The full manual "MERCRUISER ESSENCE 3.0L" is downloadable from this page. The full manual "MERCRUISER ESSENCE 4.3L" is downloadable from this page. The full manual "MERCRUISER ESSENCE 4.3MPI" is downloadable from this page. 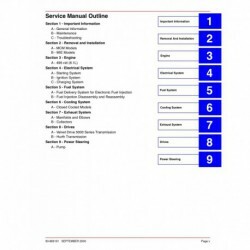 The full manual "MERCRUISER ESSENCE 5.0L 5.7L (EFI)" is downloadable from this page. 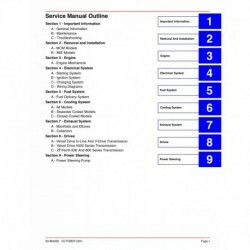 The full manual "MERCRUISER ESSENCE 5.0L 5.7L 350Mag 6.2 MPI" is downloadable from this page. 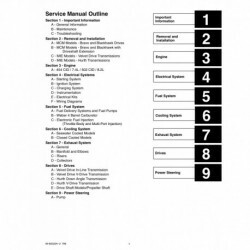 The full manual "MERCRUISER ESSENCE 6.2HP" is downloadable from this page. 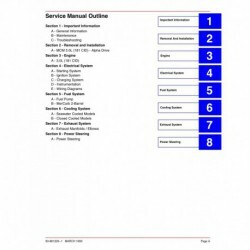 The full manual "MERCRUISER ESSENCE 8.1L" is downloadable from this page. 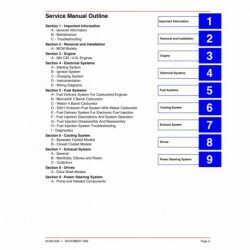 The full manual "MERCRUISER ESSENCE V8 454 (7.4L) -502 CID (8.2L) (GEN V-GEN VI)" is downloadable from this page.